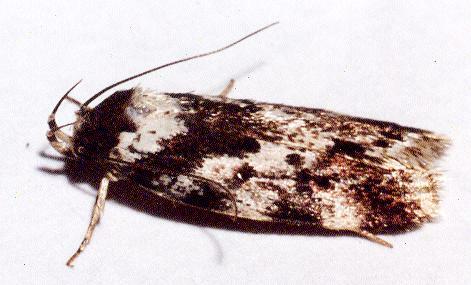 The Caterpillar of this species feeds on dead sapwood, so it bores into dead trees, living in tunnels under the bark. The caterpillar also bores into structural timber, and fence posts. Fungus in the wood may also contribute to the Caterpillar's nutrition. 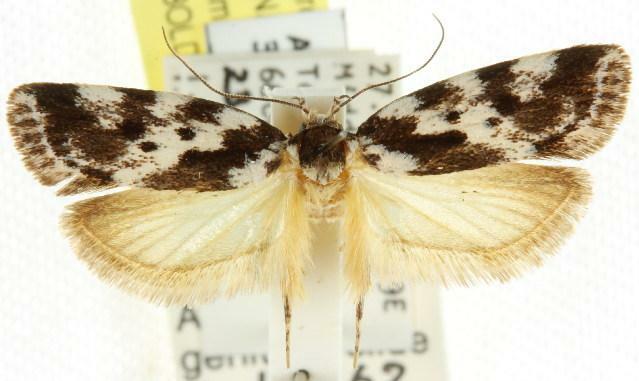 The adult moth has forewings with a blotchy black and white pattern. The hindwings are a silky fawn colour. The thorax is mainly black. The moth has a wingspan of about 2 cms. Melbourne University Press, 1990, fig. 22.10, p. 225. CSIRO Publishing, Melbourne 1994, pp. 22, 33, 34. CSIRO Publishing, 2000, pp. 146,151-153, 155, 157, 166-168. Observations on some Australian forest insects. 3. Part 29 (1864), p. 682-683.